No plans this weekend? 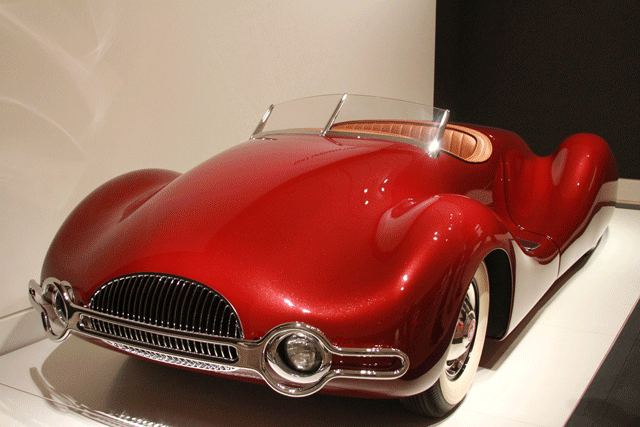 Check out Dream Cars: Innovative Design and Visionary Ideas at the Indianapolis Museum of Art Museum. 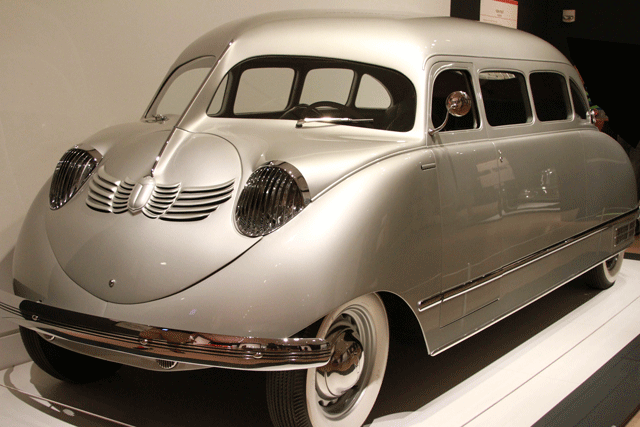 Midnight blue, hot rod red, sleek silver, all decked in chrome, these incredible concept cars show off automobile history starting in the 1930s up through the 2000s. French for meteor, this Bugatti was never put into production but is a great example of the sleek and streamlined designs of this era. This is the brainchild of the same man behind the Blue Crown Spark Plug Specials that won the Indianapolis 500 in 1947, 1948 and 1949. 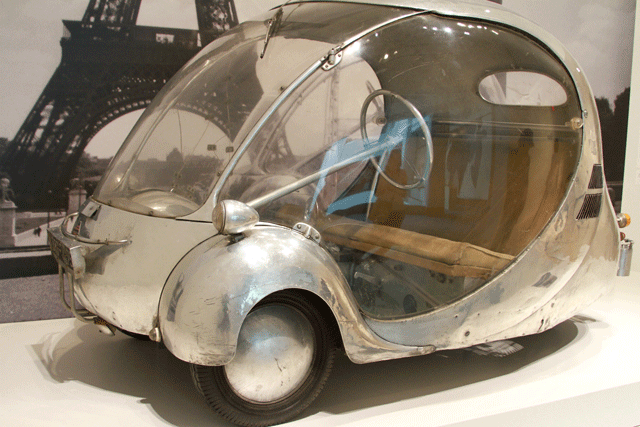 Paul Arzens' L'Oeuf électrique (1942), an electric bubble car designed by Arzens for his personal use in Paris during the German occupation. 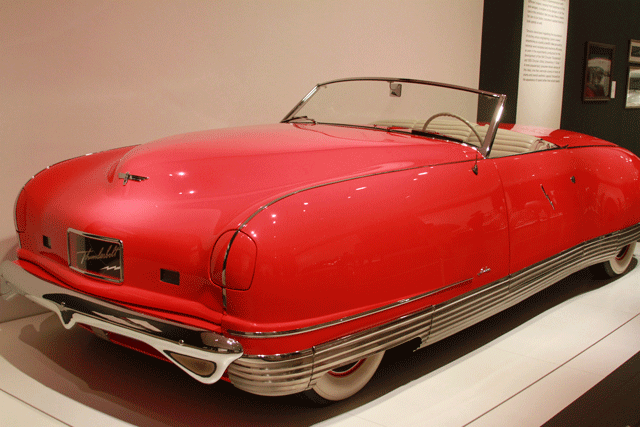 Chrysler's "Car of the Future," This was the first American car to feature an electrically operated retractable hardtop and disappearing headlamps. Can't you almost picture yourself flying down the highway in one of these? This is the last week of Dream Cars at Indiana Museum of Art. Click here for exhibit details.